Did they say RED or rad? Hotel or art gallery? Pet-friendly space or pooch palace? With modern art dripping off the high walls, technology driving its seamless customer experience, oversized windows framing the incredible mountain views and 10 pet-friendly rooms, it’s hard to label the Radisson RED Cape Town as just another trendy hotel in Cape Town’s hip Silo district. 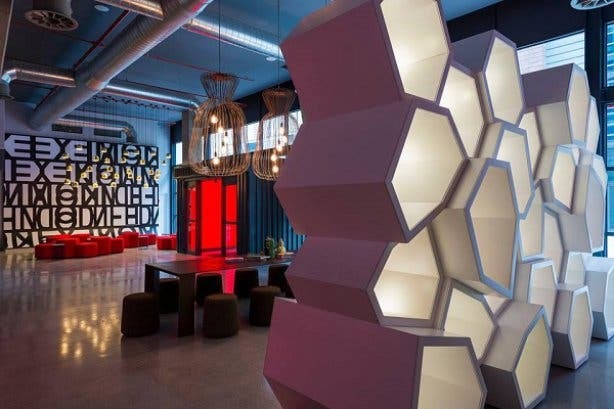 Guess that’s why it’s one of only five RED concept hotels in the world and the first in Africa, cleverly located next to another arty African icon – the Zeitz MOCAA at the V&A Waterfront. 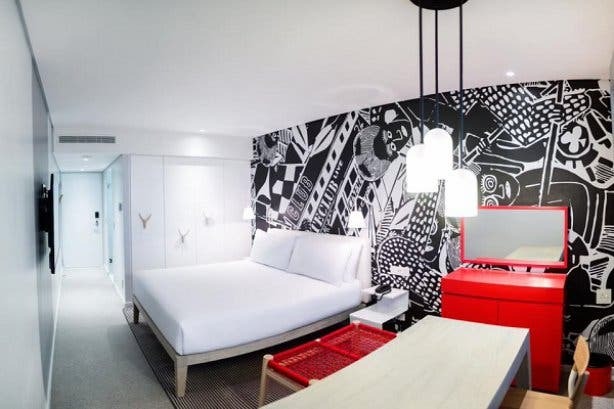 Radisson RED Cape Town is the arty auntie you admire, rather than the boring cousin that you avoid at the Christmas table. She’s bold, wears daring red lipstick and wouldn’t be caught dead in beige or under bad lighting. In fact, RED forces you to check your conventional thinking at the door. It starts from the moment you step into the lobby and can’t locate the “check in” desk among the open plan setting, surrounded by artworks and design elements. Of course, you don’t need to stress. The friendly RED team are already there to greet you, in casual red and black attire that puts every team member on the same level, from the general manager to the travel curator, who are on hand to curate your Cape Town experience. And if you’re lucky, you might even be greeted by Baxter – the resident pooch slash CEO, who has a craft beer ( “Baxter’s Bitching Blonde”) named after him, available exclusively at the resident OUI Bar. We say “lucky” because, unlike the RED app and high-speed WiFi, which is available throughout the building, Baxter isn’t on call 24/7. He checks in and out when he wants to, possibly to one of the 10 pet-friendly rooms, which come equipped with pet beds and treats for any dog or cat of 8kg or less. And don’t think your dog has to hide out in the room like a celebrity avoiding the paparazzi. Your furry friend is welcome to roam anywhere in the hotel, except the rooftop area, which is reserved for sunsets, cocktails and lying by the lap-friendly pool taking in the panoramic city views. The RED team are unconventional, driven by technology, and of course "RED" to the core. 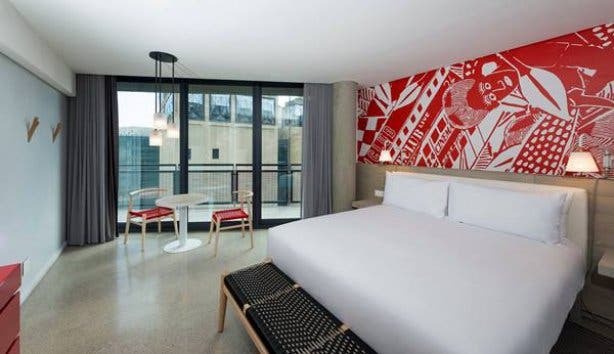 This is one hotel where bold spaces, eclectic design and modern art come together to make every area come to life. 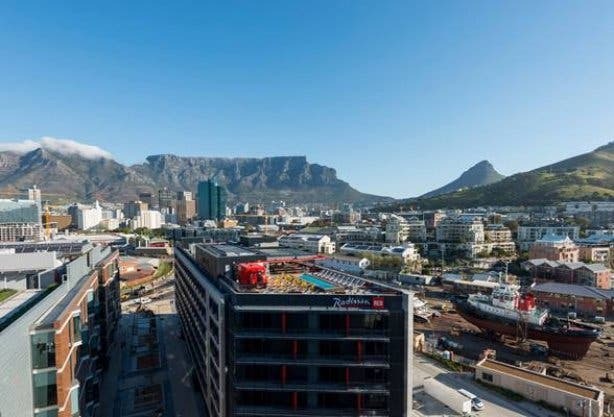 Even its choice of location is inspired, being located in the heart of Cape Town’s Silo district, surrounded by design studios, boutiques and the pinnacle of modern art itself – the Zeitz MOCAA. Quiet and within walking distance to the busy V&A Waterfront shopping mall, the area’s wide pedestrian-only walkways are perfect for walking your dog or browsing the art and design shops on your way back to the hotel. RED is as much a drawcard as the icons surrounding it. 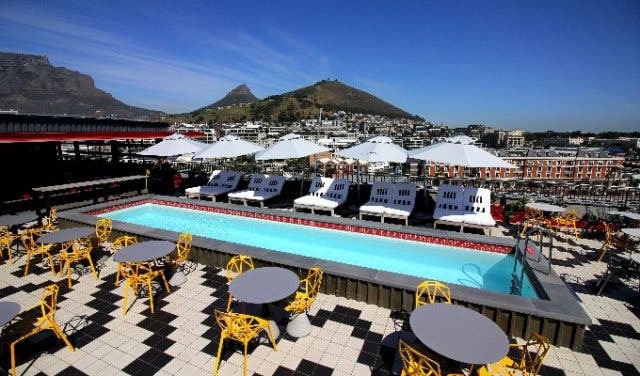 With a rooftop bar serving cocktails from a “Van Rouge” as beautiful as a Cape Town sunset, a trendy restaurant that spills onto the sidewalks with its fresh, seasonal delights, and fun event spaces that can be manipulated into more shapes than a Rubik’s Cube, you might be spending more time inside than outside. 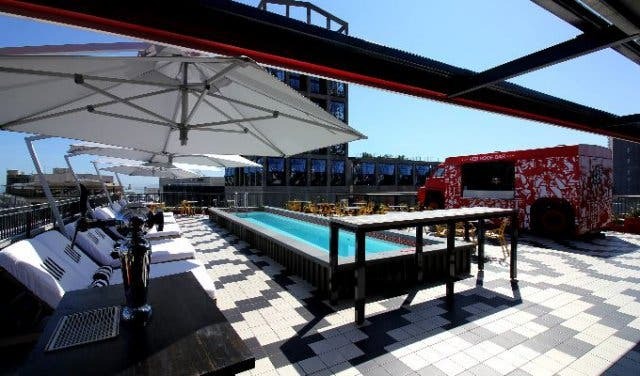 At least the RED rooftop bar is technically “outside” and a good choice for kicking off your enviable RED Instagram posts, cold drink in hand. 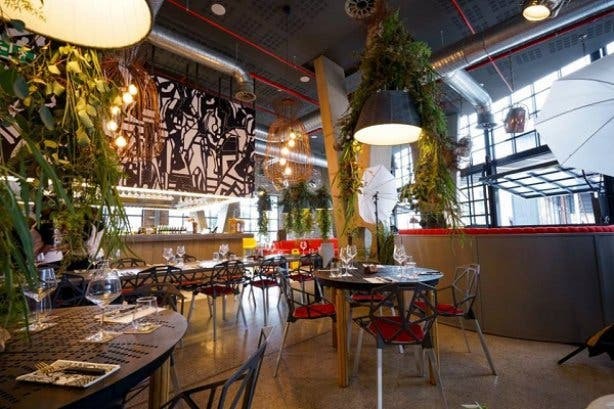 Hot on its heels is the OUI Bar & Kitchen, with its bold and eclectic design and textures that are as unique, comfortable and fuss-free as the seasonally-inspired menu. Picture it – a giant red booth, a delicious artisan burger on a white table and artwork on the walls – it’s the perfect recipe for Instragram envy. And don’t get us started on the incredible city views. The building is plush with giant, oversized windows and mountain views, from the elevator to the 222 studio rooms and 30 studio suites, which hang the views on their walls like pieces of art. Geared to meet the demands of the roaming millennial, the RED team uses technology to make your life easier and your stay better. 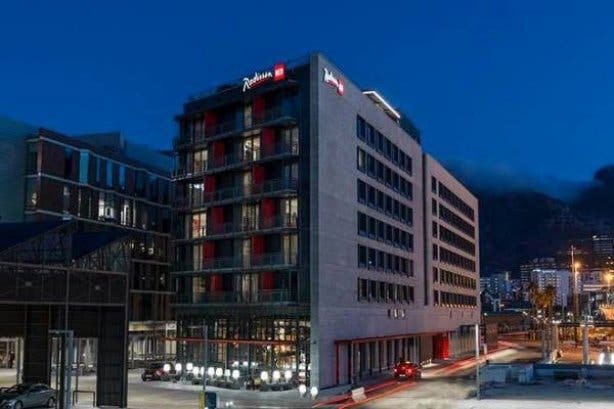 Like the free, high-speed internet that follows you around the hotel, the RED app will help you make the most of your stay in Cape Town and includes a city guide and guest features that helps you arrange group rides to the airport or see guest reviews on local restaurants. Gone too are room keys or ordering room service by phone. Everything is done via the app, from checking in and requesting extra pillows to ordering “grab and go” from the OUI Kitchen downstairs. The modern studio rooms are also all BYOD (bring your own device) and let you stream any devices wirelessly through the 55” TV and soundbar provided. You can even use the TV to access the “water menu” – a list of tips and ideas to help you be part of the water solution, from requesting a bucket for your shower to alerting the team that you will be reusing your towels to save on water. You don’t have to “check in” to check out the rad facilities and events they have going on. The hotel has four event spaces or “games studios” as they call them. And playful they are. Like Ping + Pong – a 116m space that can throw on a slinky cocktail dress and entertain 120 guests or put on a smart suit to host 84 delegates in a boardroom setting, complete with a ceiling projector, retractable screen and creative wipe-off wall. Flexible and versatile is the best way to describe these spaces, which can be styled to suit an arty fashion launch, creative brainstorming session or board meeting, with catering and décor to match, all organised and prepped by the inhouse events team. This events team also knows how to throw a good party, which they do often so more people can share the beautiful spaces they have in abundance. Roger Goode was a regular DJ feature during the summer sessions on the RED rooftop. But you are just as likely to find yourself in downward dog at one of their unique morning yoga sessions. The events are tailored to the season and festive reason, so be sure to join and check out their social media pages for the latest updated information. The bill: From R1900 for a studio, R2500 for a studio with a view, R3400 for a studio suite and R3100 for a studio suite with bunk beds for the kids (with TV’s installed in each bunk bed). On the hunt for entertainment and event venues that will blow your mind, not the budget? 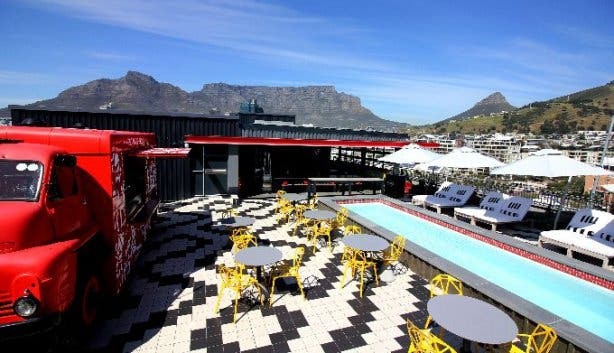 Check out these top function venues and be sure to up your game with these unique spaces for end-of-the-year functions. You might also like these places with really special rooftops bars around the city. 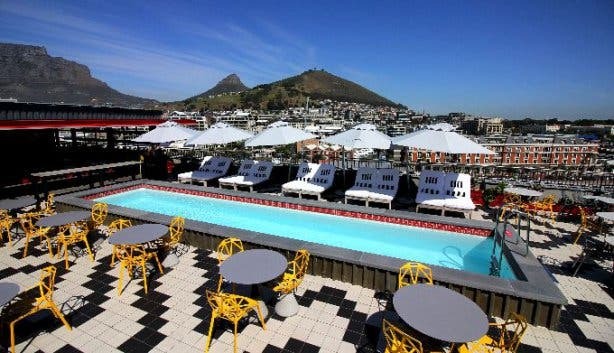 Discover more cool and unusual places to stay around Cape Town. And if you are in the mood for a cityscape location, check out Radisson Blu Hotel and Residence.